ASTRALCOM Helps Casa Pacifica Centers for Children & Families On #GivingTuesday Project | ASTRALCOM - Content Strategy, Conversion Marketing and Customer Acquisition. (Lakewood, CA – November 2, 2017) – ASTRALCOM, LLC today announced that, in conjunction with Casa Pacific Centers for Children and Families, they had recently completed a new set of custom-branded graphics for their #GivingTuesday fundraising program this month. Casa Pacifica provides the support and services that help families overcome the complex emotional challenges of children, adolescents, and young adults. Serving all of California, Casa Pacifica delivers a broad range of accredited programs, on-campus, in the community and at home and is recognized as one of the largest nonprofit providers of children’s mental health services. #GivingTuesday is a global day of giving, celebrated on the Tuesday following Thanksgiving and kicks off the charitable season. 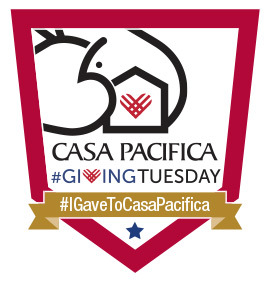 The #GivingTuesday website states that “One of the best ways to get involved is in your own community.” #GivingTuesday also encourages organizations to leverage the power of social media and collaborative efforts and that is just what Casa Pacifica and ASTRALCOM have done. Working closely with the fundraising team at Casa Pacifica, ASTRALCOM helped to create a universal messaging idea rooted in the psychology behind the affinity that people have with superheroes. “We further broke the concept into layers of giving that help to create attraction, engagement, and advocacy at different participatory levels,” explained Richard Bergér, VP at ASTRALCOM. “The basics of this idea extend far beyond just #GivingTuesday and this concept can be used all year round,” added Bill Aitchison, Senior Creative Director at ASTRALCOM. Keep up on the outcome of this project and learn more ASTRALCOM at www.astralcom.com. ASTRALCOM Integrated Media Services (https://www.astralcom.com) is an Integrated Media Services Organization that develops and implements strategic customer acquisition solutions using web, search, social, mobile, content and print tactics and is a multiple award-winning agency, named as one of the Top 10 Most Dependable Design Firms in California.